This article is a review of PACIFIC RIM. Kaiju – Japanese for ‘strange beast’. Jaeger – German for ‘hunter’. Starting in 2020, it is the seventh year of the war with the kaiju – giant (2500 tonnes) monsters that have crossed into our world, from another universe, breaching dimensions. They have emerged from a portal in the Pacific Ocean. National governments, unable, we are told, to combat these rampaging, malevolent colossuses with conventional military hardware, have pooled their resources on the Jaeger program – skyscraper-sized robots housing two human pilots. They are the Earth’s final weapons in the fight. 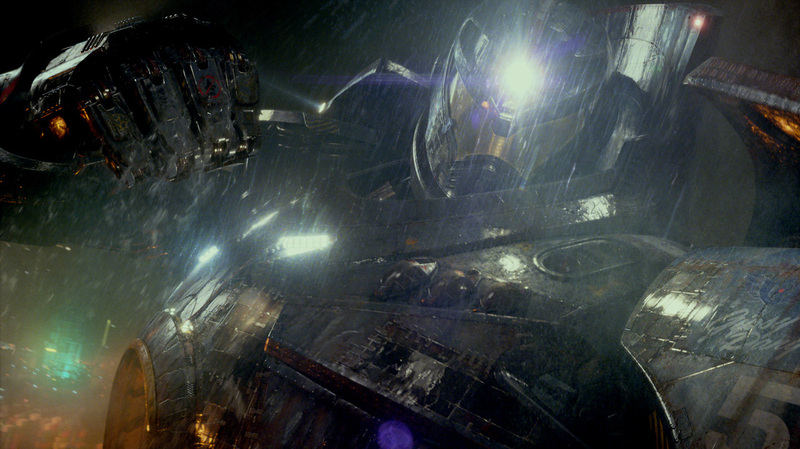 For certain people, a robots versus monsters flick is the blockbuster they have been dreaming of. Director Guillermo Del Toro has conveyed his fantastical imagination in a variety of projects, from his feature debut CRONOS to HELLBOY and PAN’S LABYRINTH. When the teaser trailer was released, my anticipation levels went through the roof. 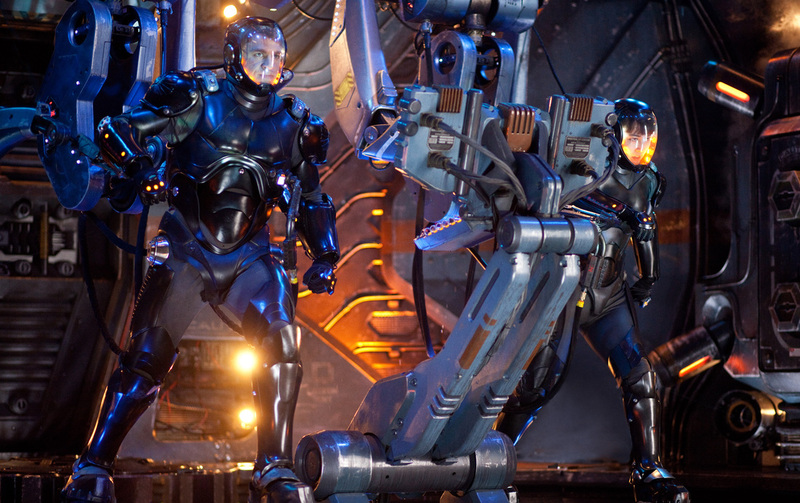 Unfortunately, PACIFIC RIM is not the second coming in terms of blockbuster verve and ingenuity. I could feel the enthusiasm leaking out of me further and further into the runtime. 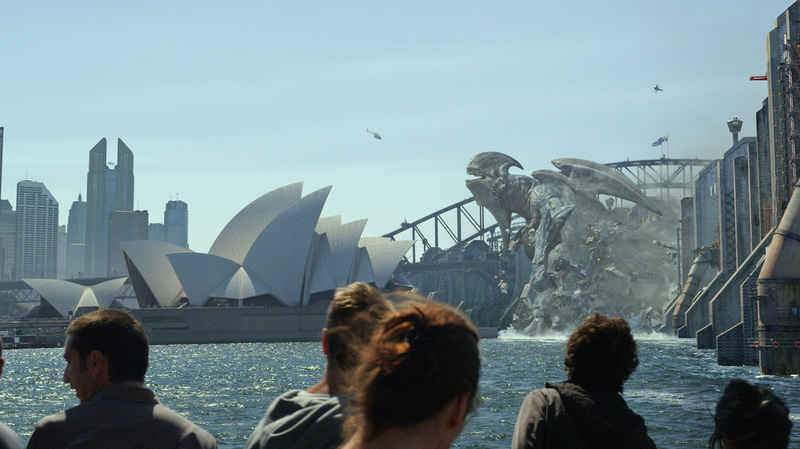 Too often in PACIFIC RIM, I wondered why this or that was unfolding in such a lazy way. The first 10 minutes or so is just background, rushing through the appearance of the kaiju. One came, which took six days to defeat, causing catastrophic damage in San Francisco. Then another appeared six months later, and they have been arriving more frequently since. Places like Manila have been taking a pounding. 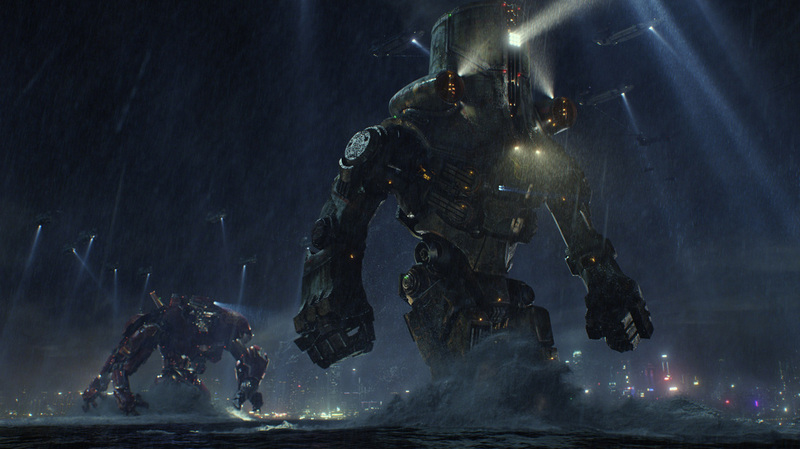 We then get to see a Jaeger, named ‘Gypsy Danger’, in action. There is a neural connection between person and machine (a ‘neural handshake’): You turn your arm, it turns its arm on a macrocosmic scale. It is such huge piece of tech that these mechs need to be manoeuvred by two people also connected, across their memories via the ‘drift’. Here is where we meet Gypsy Danger’s pilots, brothers, Yancy and Raleigh Becket (Charlie Hunnam). All this is the most interesting material: The scene setting, world building. After, we get convoluted nonsense and clumsy attempts to keep the plot varied. Del Toro unforgivably ramps up the sentimentality. There is so little characterisation, why are we meant to care when people bite the dust? The dialogue is riddled with clichés and banalities. Then you get these two ultra annoying scientists, bickering like hyperactive kids. Are they meant to be comedic relief? They screamed of monster fodder. Most of the pilots are blood relatives, then the inevitable pairing of Raleigh and Mako Mori (Rinko Kikuchi) looms. There is physical attraction, but it comes down to a stick fight to prove their compatibility; reminding me of the fracas in THE MATRIX RELOADED, where Seraph tells Neo, “You do not truly know someone until you fight them.” Please, really? Yes, we do get great ideas, but they are poorly fleshed out. Needing a team to control these massive machines is refreshing, compared to the lone hero. However, the drift and neural bridge are not expanded upon, as to how it actually makes a difference. The battles between Jaegers and kaiju are fun, but over too quickly, and the 3D trips up the enjoyment, rather than enhances it. The tech and monsters are wildly incoherent. The abilities and flaws that each possess are head-scratching, papering over a slack narrative. Why don’t drones and fighter planes out of harm’s reach support them? Radar (or whatever) can detect the kaiju coming through the portal hundreds/thousands of miles away, but the pilots/headquarter bods can’t detect one just behind a Jaeger. 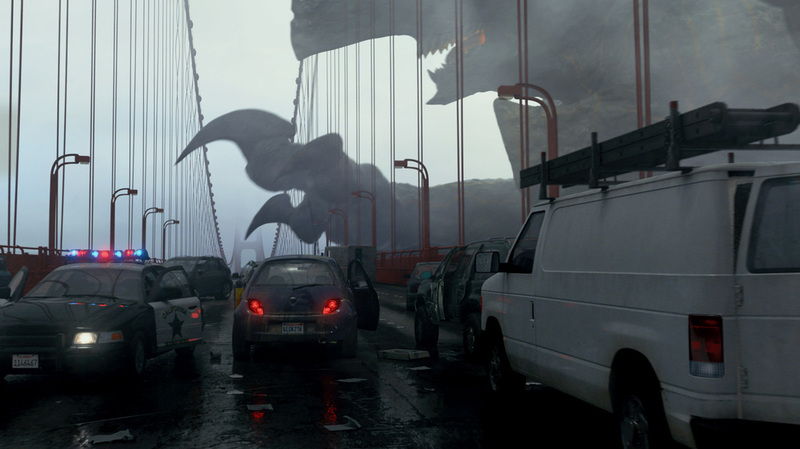 We are told the kaiju have started to win, but not how. The human governments, in cardboard bureaucratic ineptitude, shut down the Jaeger program, concentrating resources on constructing a blatantly ineffective mega wall. When you read something like WORLD WAR Z (by Max Brooks), which focuses on the gifted, most resourceful global population, it makes you wonder why the Hollywood blockbuster doesn’t do the same. It’s too often about the unintelligent making poor decisions. Why can’t it be the brightest portrayed as succeeding, as well as making understandable mistakes and learning from them? I am fully aware that our world is not always run by those kinds of people, but it would be revitalising to see talent problem solving more frequently on the big screen (e.g. CONTACT or STAR TREK or CLOSE ENCOUNTERS). The world is ending, but where are the extras? The cities are meant to be evacuating, but we don’t see any on the ground or in buildings. It reminds of the climax of THE DARK KNIGHT RISES – Gotham, the world’s foremost city, under siege, though the population is barely witnessed. These films are big budget, couldn’t some of it be used to hire/computer generate some citizens? Don’t even get me started on the ending. The worst crime of INDEPENDENCE DAY’s uploading a virus into the alien mainframe is rivalled. Who doesn’t love human piloted robots smashing seven shades out of ferocious homicidal monsters? 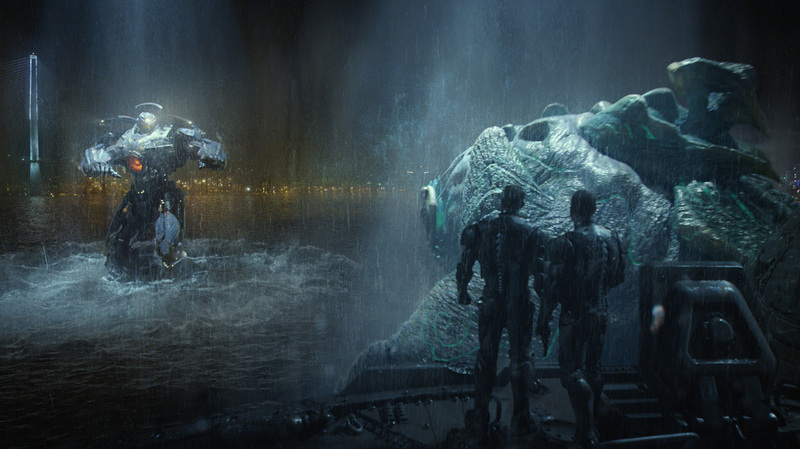 But couldn’t Del Toro and crew have fashioned a mythology and characters to match such a winning concept?